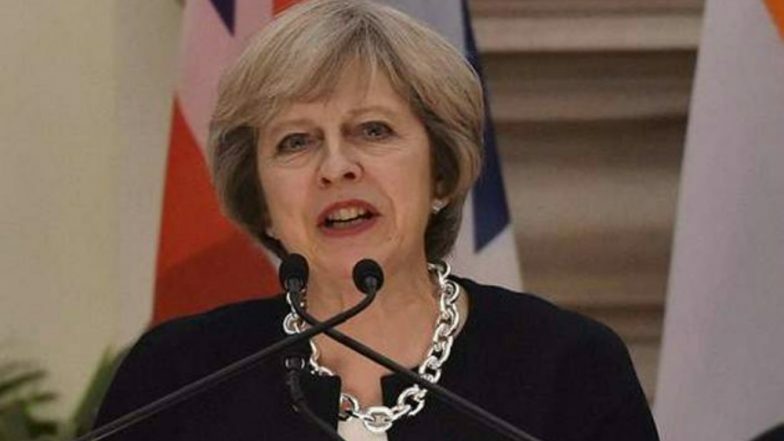 London, March 28: Britain's government said it intended to hold a third parliamentary vote on Prime Minister Theresa May's Brexit deal on Friday but was awaiting the go-ahead from House of Commons speaker. "We recognise that any motion brought forward tomorrow will need to be compliant with the speaker's ruling and that discussion is ongoing," Andrea Leadsom, who represents the government in parliament, told MPs. "A motion will be tabled just as soon as possible and obviously by later today," Leadsom said Thursday. Commons Speaker John Bercow has previously blocked a third vote on the deal, invoking a 17th-century statute that prevents parliament from voting on the same thing again and again. Brexit Fallout: Nissan Cancels Plans to Manufacture New Model X-Trail in UK. "The only way we ensure we leave in good time on May 22 is by approving the withdrawal agreement by 11:00 pm on March 29," she said. Leadsom pointed out that EU leaders had granted an extension until May 22 "provided that the withdrawal agreement is approved by the House of Commons this week".